This blog is the third in my series on differentiation. There are three points I want to encourage people to consider when using stations to differentiate learning for students. Effective teachers understand that students have to understand content and are always looking for avenues for kids to demonstrate their understanding. When teachers use the philosophy behind learning centers, they are providing those avenues. 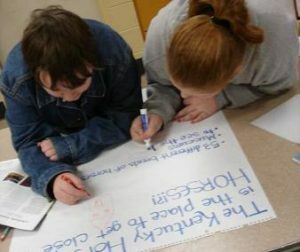 Students are allowed to select the means by which they learn best to engage in the learning process. Giving students a choice is the key, they will retain important content better when they have a choice. They begin to recognize what they’re personal abilities are and how to use them which is important if you want them to learn. When teachers ‘let go’ and let the students do the work, they see how powerful it is and see how good it is for students. Supplying students with multiple methods for understanding a concept helps students to build personal toolkits. When kids recognize how they learn best, they use those strategies after high school and become lifelong learners. For that to happen, students must be exposed to as many learning strategies as possible so they can figure out which ones work best for them. Offering stations with multiple strategies and choices for students encourages independent learning and engages students in the process. One of the most effective learning stations is the teacher herself. If one-third of the class needs a mini-lesson on a concept, the teacher can pull that group of students. If two or three students need extra help or even if one student needs the teacher’s attention, learning centers offer the opportunity for the teacher to meet those individual needs. When students are engaged in multiple stations the teacher can have flexible time and they become better at assessing formatively and moving kids around to better meet the their individual needs. Working with seven or eight students for 10 minutes is often a more successful learning experience than working with a whole class for one hour. Stations don’t all have to look alike and teachers can use their expertise to create what is needed. There isn’t only one way to create stations. The most difficult part of utilizing learning stations, according to most of the teachers I have worked with, is the time needed to complete the organization and planning. Many middle and high school teachers already have learning centers created without even realizing it. Teachers create stations all the time – it’s just that everyone does the activity together at the same time – like taking the whole class to the computer lab to work on an activity. We don’t have to do this as a whole class anymore. Create a computer center in the classroom, across the hall or around the corner and let students have a clear choice about whether to complete a specific activity and/or when. This is an example of how learning centers are a logical step for many teachers, if they are willing to give more choice and ownership to the students. When teachers realize that doing the questions all at the same time or reading the chapter all at the same time doesn’t have to be the norm then the station possibilities open up for the teacher. But it doesn’t happen overnight. The hardest part is the organization and you have to do what works for you. You could have 30 kids a day doing 30 different things but not on the first day. Teachers must make a conscious effort that kids know the process first. Start with the processes and activities that all of the students need to know and do. Complete the assignment together as a class the first time, this insures that everyone knows what is expected. Now you take this assignment and turn it into a learning station that can be chosen by a student to help them understand the content required to be successful in your class. Start small – have two activities/assignments happening at the same time. I recognize it is often difficult to convince middle or high school teachers to try learning stations because they often see it as an elementary concept. Some of them may think it’s babyish or they see no evidence of rigor. The rigor comes from the accountability that has to be built in to the process. All assignments need to have value, they can’t be busy work. Formative assessment of individual student understanding needs to be occurring on a regular basis. Plan for the possibilities – What does this mean? – Have more stations than students can complete, have multiple ways of learning the same concept, offer students the choice of how to prove they understand the content. The ways students have chosen to prove to me that they understand the content have been some of my proudest moments as a teacher. I would love to hear about your successes, ideas, suggestions. Please share. 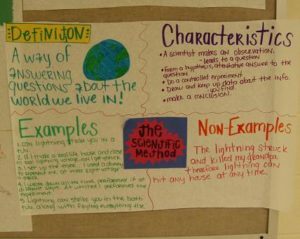 This entry was posted in Blog and tagged differentiation, high school, middle grades, scienc. Bookmark the permalink.